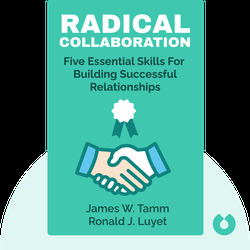 Radical Collaboration (2004) offers invaluable methods to help you build effective and high-functioning collaborative relationships, as well as strategies to manage any kind of conflict that you might run into. At the heart of these methods are five skills that can turn anyone into a better teammate and turn any organization into an efficient and productive partnership. 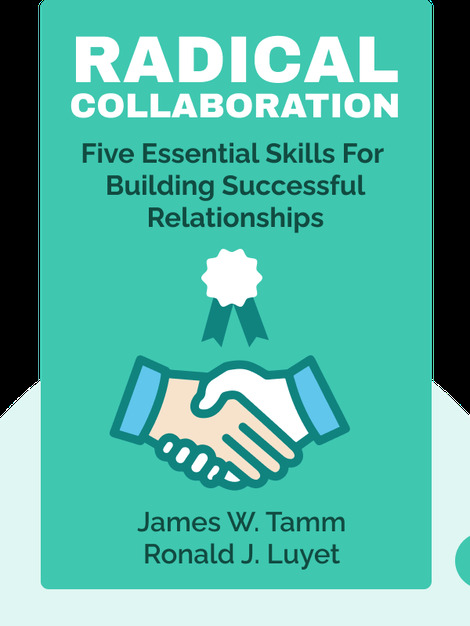 James W. Tamm is an expert in conflict resolution with decades of experience creating collaborative work environments. He is also a former law professor and California judge who now heads the consulting firm Business Consultants Network Inc.
Ronald J. Luyet is the cofounder of the Green Zone Culture Group, which helps companies build their own collaborative work environments. He is also a senior member of the Business Consultants Network and coauthor of the book Where Freedom Begins: The Process of Personal Change.